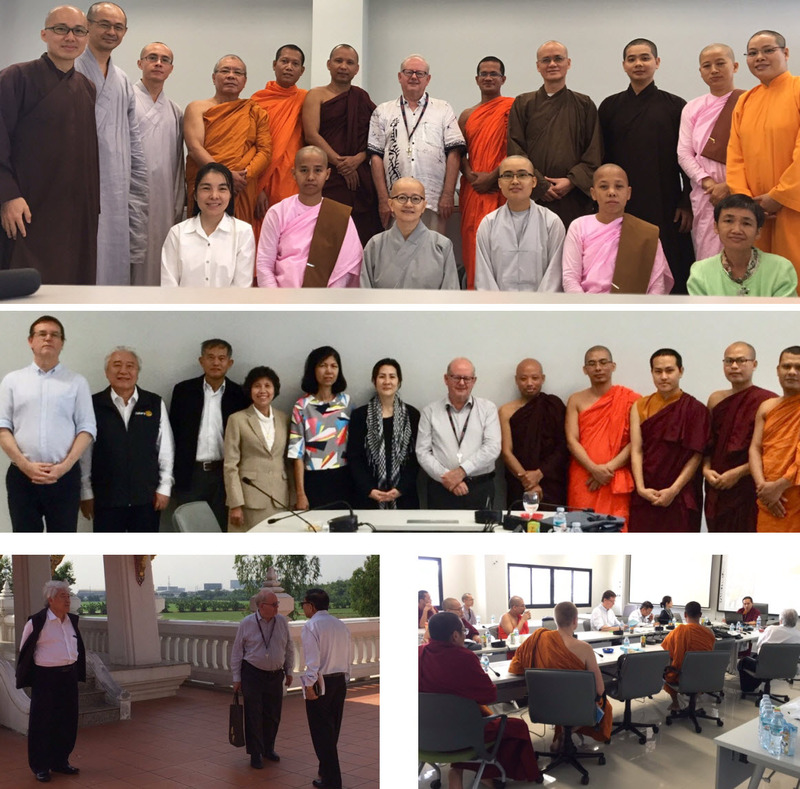 On Nov 14 RCB Rtns PP Chamnong Watanagase, PP Suraphon Kittiwet, and PP Frank Hoffman joined together at Mahachulalongkornrajavidyalaya University (MCU) Wang Noi campus. in the first R2M experience. 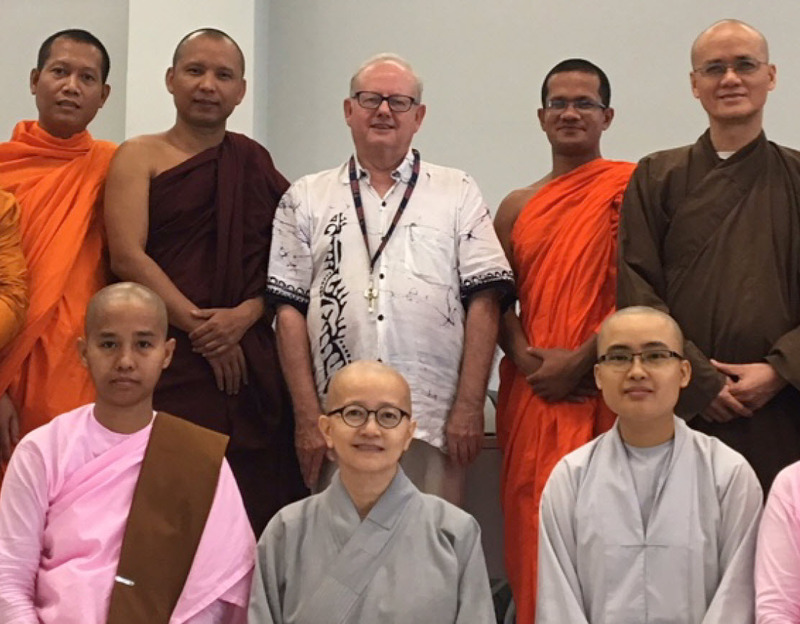 There at MCU they attended a PhD class at International Buddhist Studies College of MCU on Buddhist Psychotherapy and Counseling co-taught by Dr Pintong Mansumitrchai and Professor Dr Frank Hoffman, and heard student and faculty presentations while participating in discussions. Graduate student Dr Mrs Dusanee Thanaboripat hosted Rotarians to visit a glorious Thai temple nearby. MCU Lecturer Venerable Weerasak Suwannawong guided Rotarian visitors to Wat Panna, his Indian-style temple with its replica of the East Gate at Sanchi. Rotarians and their hosts including two MCU PhD students who served the country as medical officers, Dr Nopporn and Dr Tuenjai Klunsupa, dined overlooking a lotus pond. A good time was had by all in this varied and interesting program.